you save 18 % / 550,00 EUR 19 % VAT incl. 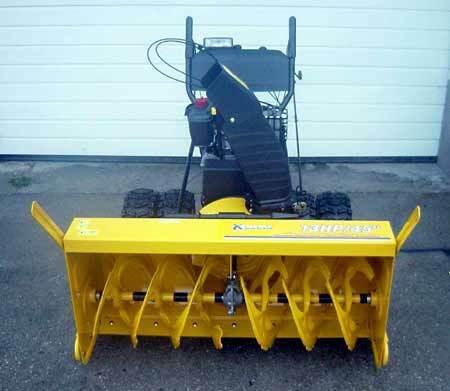 The new large format Snowblower Cub Cadet 945 SWE with its new auger system with 114 cm allows as much snow to the blower, which it can handle without blockage, it clears more than 1 ton of snow per minute. 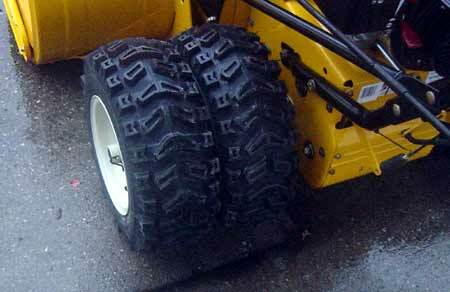 Double wheels with knobbly tire treads made ​​of special rubber guarantee first-class train and road grip in normal terrain. 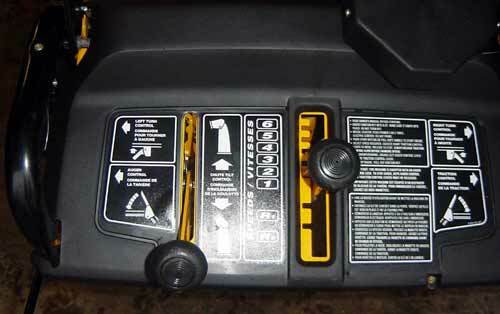 Since this unit has a working light, snow can securely and easily be cleared even in the dark! The extremely wide double wheel-drive offers good traction. 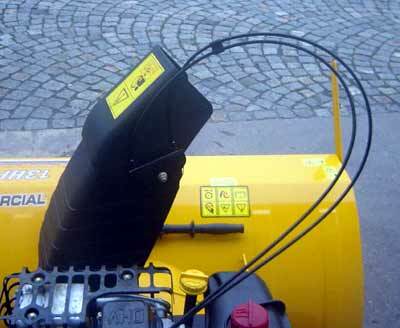 The snow blower can easily been redirected with the steering lever on the handlebar. 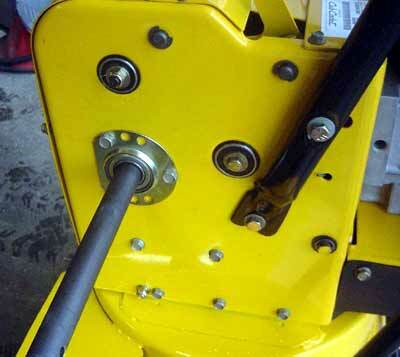 The two augers are divided and secured by shear bolts, so there are four augers. 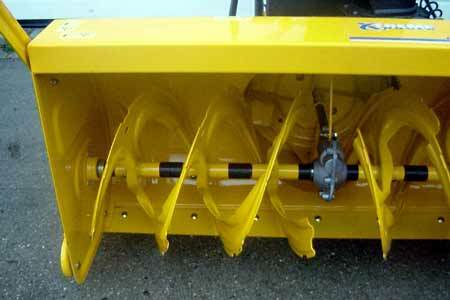 In addition, the augers are toothed to break crusted and hard snow. 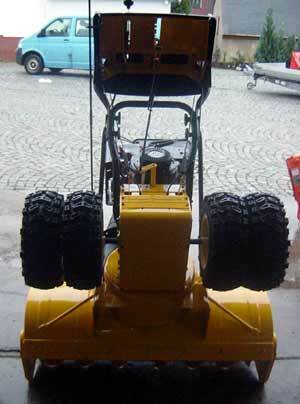 Due to the high working width of 114 cm, the thrower is ideal for clearing large areas. 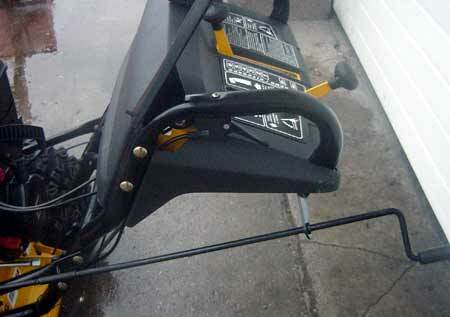 This snow thrower getting you through the winter!! 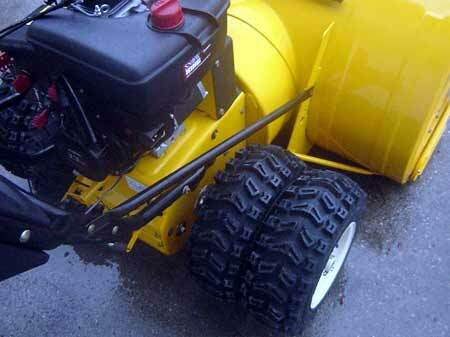 The auger is fitted with twin tires 16x6.5 - which ensures good traction. Due to the high-profile Snow Grip, slippage is almost impossible. 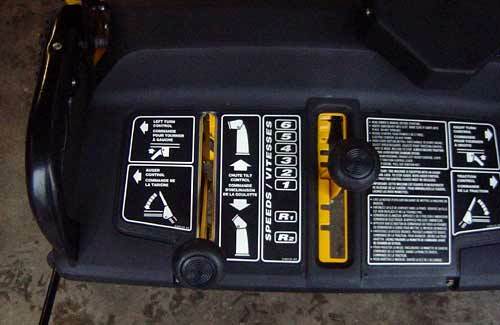 The discharge flap can be pivoted from the handle by means of a Bowden cable. The spar and the chute are protected from twisting by struts in front. The struts increase the stability and durability. Here is the view from the bottom: The struts on chute are easy to recognize. 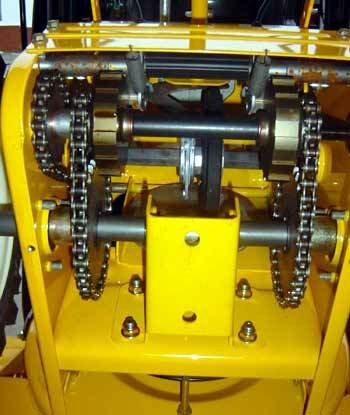 Here's a look into the gearbox: The Fiction wheel is stronger compared to standard snow blowers - all shafts are supported by ball bearings.